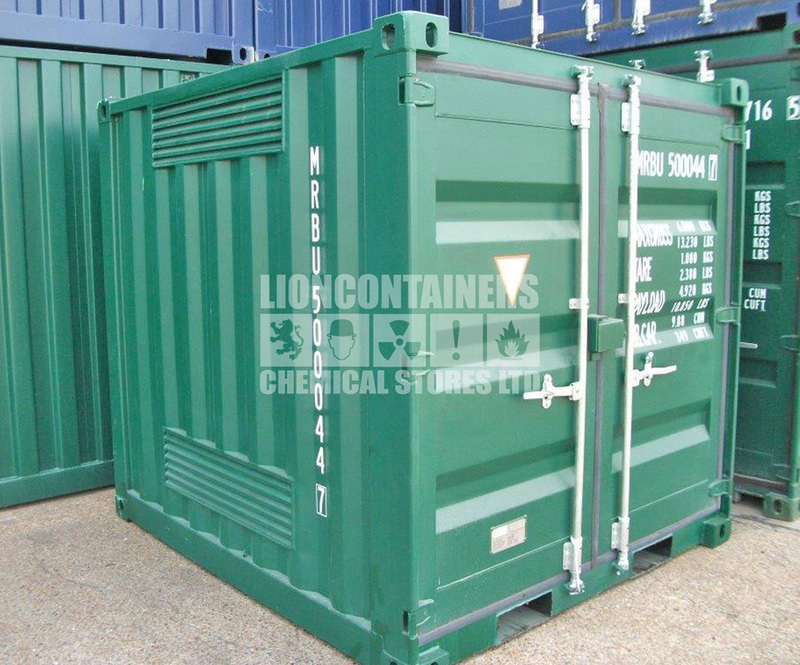 Lion Containers (Chemical Stores) Ltd supply and deliver a wide range of 'easy access' containerised chemical stores, COSHH and bunded containers to many different industries. 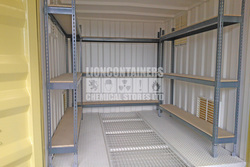 We provide units for sale or hire, and supply both "off the shelf" options and bespoke units. 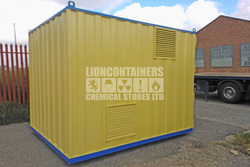 Lion Containers (Chemical Stores) Ltd are able to offer a wide range of 'easy access' Chemical Stores, COSHH (Control of Substances Hazardous to Health) Stores and Bunded Containers, for sale or hire. We can provide standard ‘off the shelf’ options, or bespoke units. 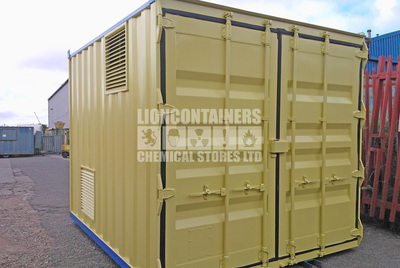 These containers are ideal for the storage of agricultural chemicals such as pesticides and fertiliser, and flammables such as batteries, fuel, oils and paints. Substances hazardous to health can also take the form of fumes, dusts, vapours, mists, nanotechnology, gases and asphyxiating gases, and biological agents (germs). Their 'easy access' nature means that you can simply walk in and access any items that you require, this is a great feature when dealing with such hazardous materials. If you know what you require already, please complete our chemical store shopping list and tick off everything you require. You may also view our case studies which should give you some ideas regarding the options we can provide. A build which has a BASIS (British Agrochemical Standards Scheme) approved design. 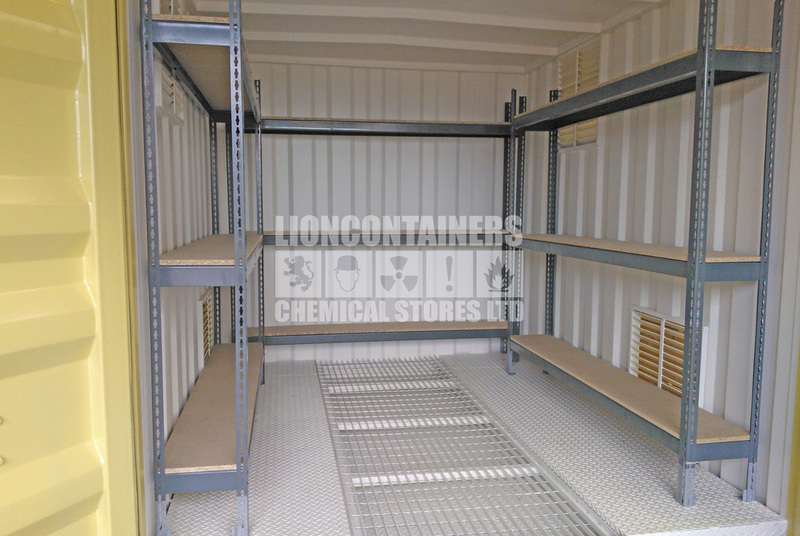 An integral bund built in to the container floor. A bund capacity to meet the relevant regulations. A drainage tap fitted to the sump. A removable galvanised steel grated flooring. 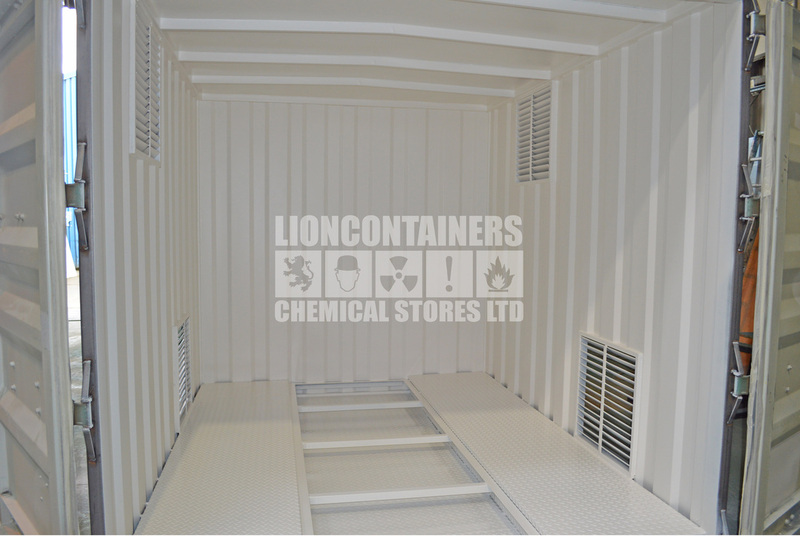 Large louvered ventilators, compliant with relevant regulations. Bays of shelving for storage purposes. Bespoke colours, for company branding or for blending in with the environment. High security locks and lockboxes. Lined container walls, roof and cargo doors. Standard insulated, weatherproof personnel doors. 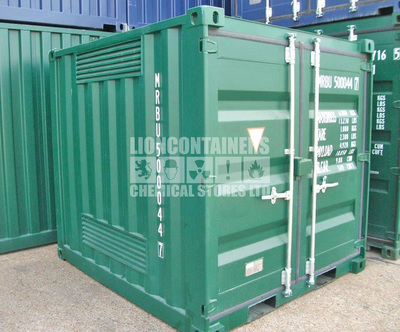 Companies who store hazardous materials have strict guidelines to follow, and standard storage containers are not suitable. 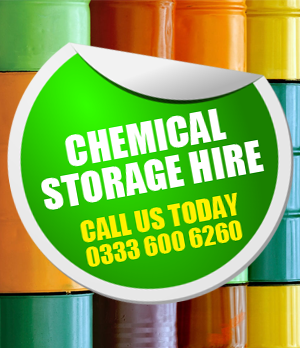 Our chemical stores can be built to fulfil the Environmental Agency and HSE (Health and Safety Executive) guidelines, which are in place to ensure the safety of humans, animals and the environment. 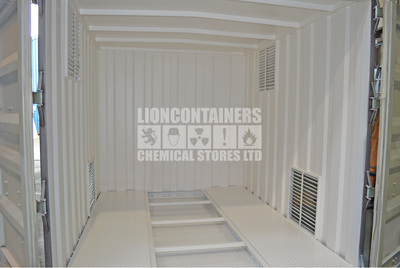 Stores can have options to make them fire proof, leak and spillage proof, ventilated, dry and condensation free. Our stores are also secure, robust and can be built to a bespoke specification. If you require more infomation on the solutions we can offer, please call 0333 600 6260 or complete a quick quote below. They were very helpful when I was sourcing a COSHH store, and much cheaper than any others I found. Excellent customer service from initial enquiry through to delivery and beyond, kept the lines of communication open and provided all information in a timely manner.